Representatives of the town and county governments are preparing to meet again to explore opportunities of greater efficiencies between the Leesburg Police Department and the Loudoun County Sheriff’s Office. But, with the next meeting set for Monday, Sept. 19, it appears many of the items on the Town Council’s wish list have already been addressed. The joint committee, formed at the request of the Town Council last year, includes representation from both the council and the Board of Supervisors, as well as both public safety agencies, and town and county administration. The committee met once in April. The council came in armed with nine items it wanted to see changed and just about everything has been taken care of, according to Town Manager Kaj Dentler. Among the changes agreed to by the county were allowing town police officers to use the new county firing range, set to open in 2018. The sheriff’s office also agreed to allow the town police force to use some space at its Sycolin Road headquarters on a temporary basis. That allows the town to free up space available for lease at the Leesburg Executive Airport, where some officers had been stationed. Study of the merits—operationally and financially—of sharing the county’s computer assisted dispatch is continuing. Dentler identified this as an area where incoming Police Chief Gregory Brown and the sheriff’s office will need to coordinate. Brown will be officially sworn in at month’s end. The one lingering item is the county’s funding of School Resource Officers in town schools. Currently, the county contributes 70 percent of the funding for the seven Leesburg Police SRO positions at schools inside the town limits. While the council has pushed for supervisors to fully fund the town positions for several years, the county board has held firm. What it has promised if full funding were to occur is that the schools would instead be staffed with sheriff’s deputies rather than town police officers. 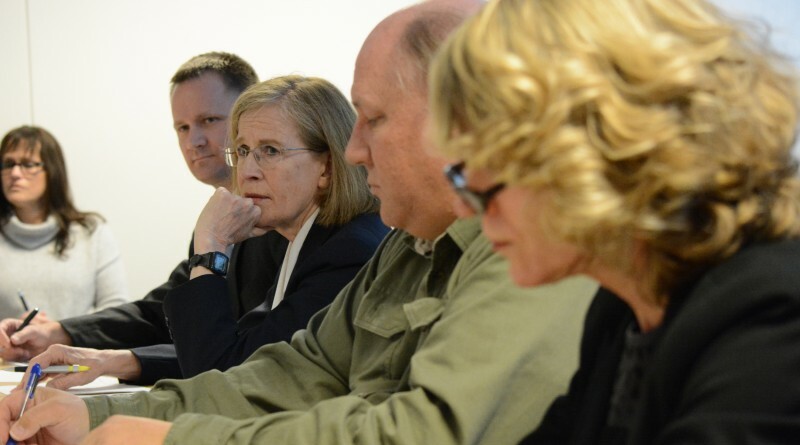 During the council’s work session Monday night, at least four members of the council appeared ready to continue to press the county to fully fund the SRO positions. Dentler emphasized that this was not an urgent matter, as it will be a policy decision that needs to be made by the council in early 2017, prior to FY 2018 budget deliberations. No council member expressed a support for having the schools staffed by county deputies, and Interim Police Chief Vanessa Grigsby said continuing to have the town officers in the schools is a smart strategy. The next meeting of the joint police committee is set for Monday, Sept. 19, beginning at 6 p.m. at the County Government Center.